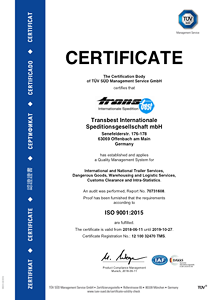 Quality, safety and environmental friendliness have always been a top priority at transbest. The company was certified for the first time in March 2002 per quality standard DIN EN ISO 9001:2000 and was awarded the certificate “SQAS” in September 2007. SQAS is a system that evaluates the quality, safety, security and environmental performance of logistic service providers and chemical distributors in a uniformed manner by standardised assessments carried out by independent assessors. In 2010, 2013 and 2016, the new certification took place, this time according to DIN EN ISO 9001: 2008. 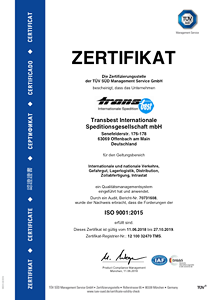 In May 2018 we were successfully certified as part of the adaptation to the new standard DIN EN ISO 9001: 2015. 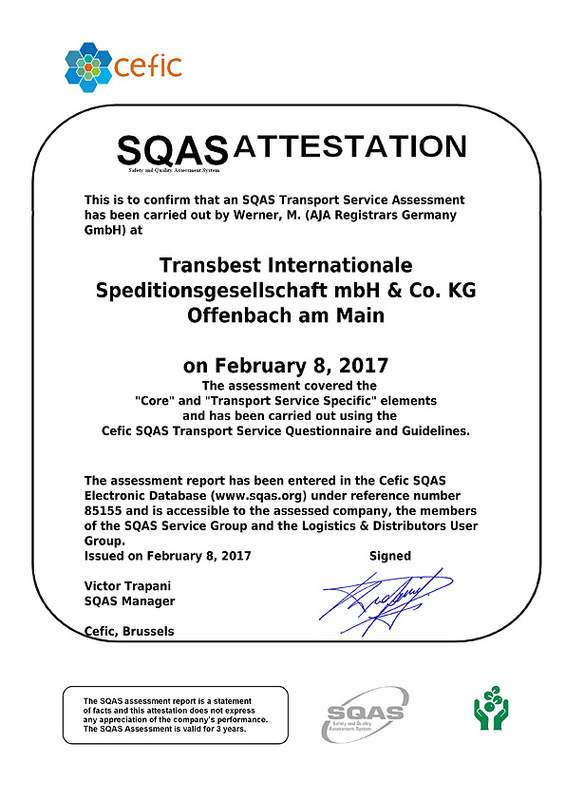 In 2010, 2013 and 2017 transbest passed the strict testing criteria of the SQAS assessment again. By documenting our workflows and the recurring training of our employees, we certify transparency and ensure high quality of service. In addition to that, all our vehicles and drivers are equipped and schooled with the requirements of the ADR.